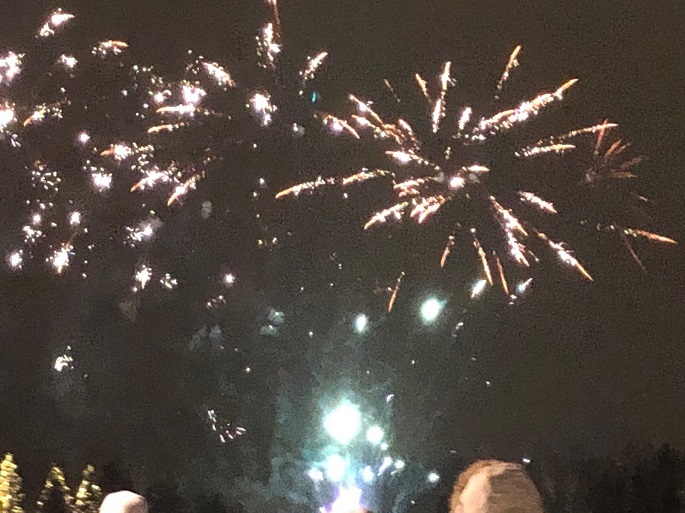 The celebrations of New Year 2019 in Rovaniemi. DF Photo. The celebrations of New Year 2019 have begun across the country amid festivity and joy. The New Year celebrations attracted several thousands of people who welcome the 2019 moment after midnight through fireworks displays almost every part of the country. The main crowd was reported at the Citizens’ Square in the capital where about 80, 000 people gathered to welcome the new year. The local municipalities organized fireworks displays in every city to mark the farewell of the old year and welcome the new year. In addition to this, people from all strata were seen to buy fireworks from the local markets and displayed by their own initiatives. Well-known artists took to the stage to perform during the celebrations in Helsinki which reached a fever pitch when the fireworks lighted the sky. Around 20,000 people gathered to witness the fireworks display in the coastal city of Turku. Earlier, police allowed display of Fireworks from 6:00 pm to 2:00 am on the new year eve and early new year. The New Year´s fireworks, however, was affected by stormy weather as per the forecast made by Finnish Meteorological Institute. Today is public holiday. All government, semi-government and private offices will remain closed on the occasion of the New Year.